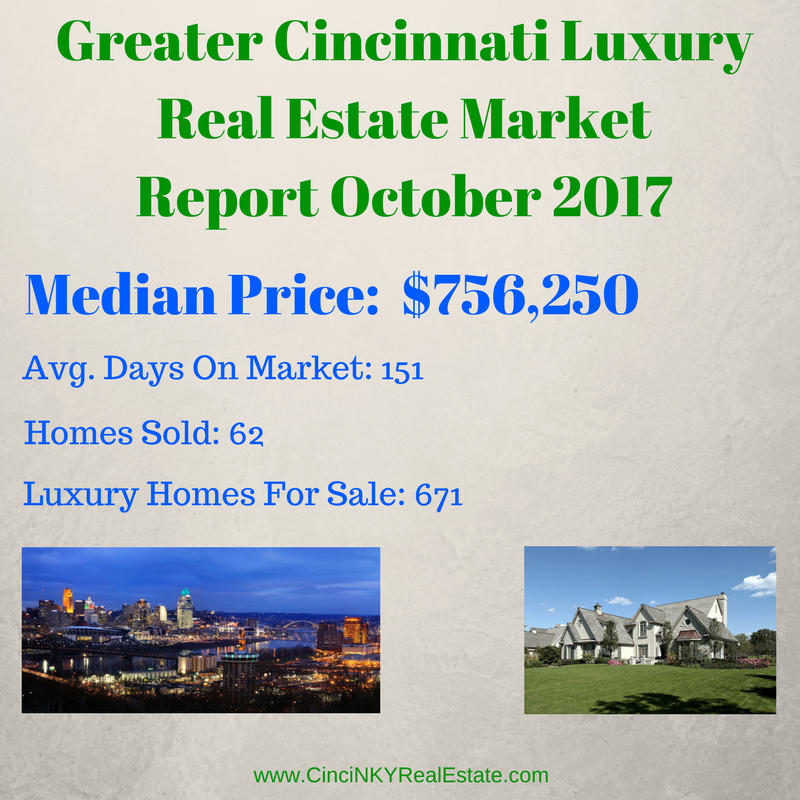 The October 2017 luxury real estate market showed a slight uptick in sales and median price in the Greater Cincinnati area. The last quarter of the year is typically the slowest of the year when it comes to housing sales as fewer people are interested in moving during the cold months and holiday gatherings can interfere with the process of selling a home. Look for the current trend to continue throughout the rest of 2017. A Federal Reserve interest rate hike may start some movement in the housing market in one direction or the other. Consumer spending has increased but it has come at the expense of consumers tapping spending at record levels since 2009 which cannot lead to a sustainable expansion. Check out the links below for more details.